Choosing a New House Phone: Retro Style or Modern Features? Well, our house phone is broke. In fact, it’s been broke and unusable for quite a while but I haven’t got round to replacing it yet. This is for a number of reasons. I quite like not having a housephone. Sometimes it feels like it’s just another way for cold callers to pester me (despite having signed up to the Telephone Preference Scheme (TPS) years ago). All of our friends, family, work colleagues and even utility companies ring our mobile phones nowadays and we have free outgoing calls on them so our house phone is pretty much redundant. The only reason I have missed the house phone so far is to ring my mobile phone when I’ve yet again lost it (and very often my ringer is set to silent anyway!). However, I do want a house phone again for piece of mind. If my battery has gone or my mobile stops working, I need a house phone to use for emergencies. This causes my next dilemma. Which house phone do I choose? We have always had digital phones with additional handsets for upstairs. I love the cordless feature. When looking after children, it is easier to take a call when you can still move around the house and keep an eye on them. I also love caller display. This helps to avoid those pesky nuisance calls. However, I love the design of colourful, retro style phones, such as the Cuckooland Retro Telephone . They look so stylish and remind me of the time when we did actually have a rotary dial telephone (sadly this one is push button really). A few years ago, I had a flat tyre and had to use someone’s house phone. 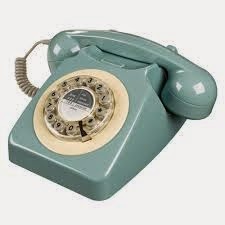 They still had one of these original phones and I had to remind myself how to use it again- it took ages to ring out! Realistically, I’m looking at a modern style phone to get all the features that I require. Maybe I should go the opposite way and look for an ultra modern phone. I like the sleek look of this premium design phone above. It is cordless, has Caller ID, conference calls (handy for family calls) and a phonebook but the feature I love is Smartphone Connect-you can use your own smart phone as one of the additional handsets. There is also a wide selection of new digital home phones on the Panasonic website. 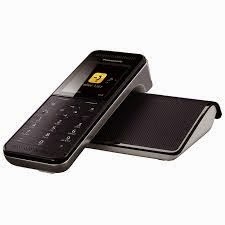 I am wondering if I should pick a modern DECT for downstairs and a cute retro one for our bedroom. I think it would look just perfect next to a Vintage Teasmade, don’t you? Which home phone would you choose: retro style or modern features?